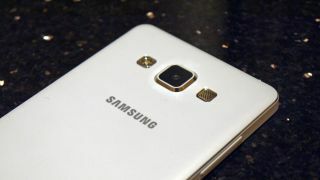 What will follow the Galaxy A5? Last we heard of the Samsung Galaxy A8, it was set to be Samsung's thinnest handset yet (at just 5.9mm), offering a stylish metal-edged smartphone with respectable mid-range specs. However, speculation suggested it would only ever appear in China. Inside sources talking to SamMobile have revealed that the Galaxy A8 may get a much wider release, with Asian and European markets on the cards too. The site also says a fingerprint sensor is going to be included, making this a very capable phone for those on a budget. The Galaxy A6, Galaxy A8 and Galaxy A9 trademarks were registered in early March and it looks like they're going to pick up where the Galaxy A5 and Galaxy A7 left off. Not everyone wants an ultra-powerful and ultra-expensive handset after all. SamMobile says the upcoming Galaxy A8 will have access to the same themes support that you can find on the Galaxy S6 and Galaxy S6 Edge, so you'll be able to quickly change around the look of your phone's software. Other tidbits we've managed to glean say the handset will feature a 5.7-inch full HD display, a Qualcomm Snapdragon 615 octa-core chip (running at either 1.7GHz or 1.0GHz), 2GB of RAM, 16GB of internal storage and a rather impressive 3,050mAh battery. You'll get Lollipop 5.0.1 complete with Samsung's TouchWiz. Camera-wise, the Galaxy A8 is said to feature a 16-megapixel camera around the back and a 5-megapixel model around the front. We shouldn't have too long to wait before official word comes through.